In the City of Brotherly Love, we care about each other. And sometimes, the best way to show this is by pushing each other to be better—and, let’s face it, we can all do a little better when it comes to physical fitness. Partner with Get Healthy Philly and the Philly Powered campaign—together, we can inspire all of Philadelphia to get moving toward a more active lifestyle. 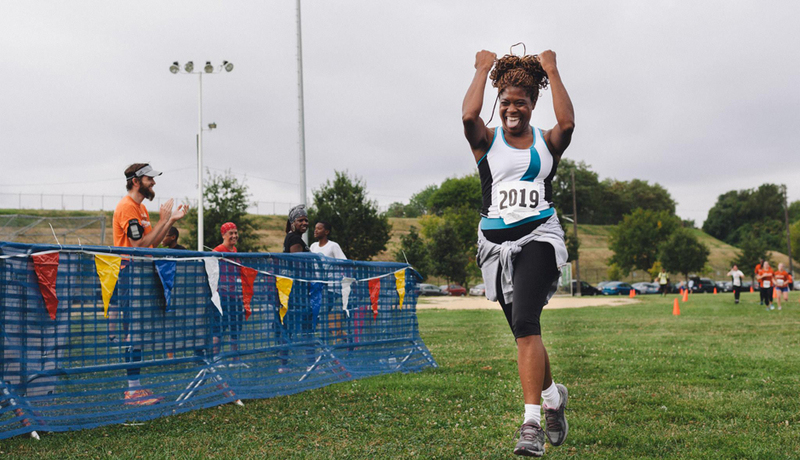 Join community organizers, faith leaders, fitness professionals and more in helping to make active living a reality in neighborhoods across the city. Why partner? Become connected to movers and shakers across Philly’s health scene, get the latest fitness news and events and the opportunity to promote your own, and access FREE materials to share with your community and help make Philadelphia a healthier city for everyone. 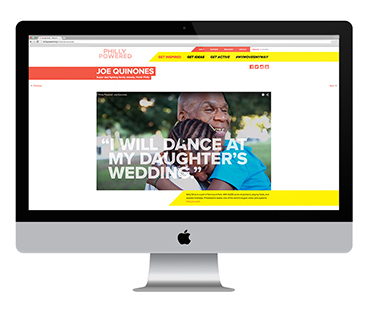 Philly Powered is a citywide, multi-year campaign designed to promote everyday physical activity among adults. For us, this means addressing the very real barriers to fitness like cost, transportation, and safety as much as sharing recommended fitness guidelines. We wanted to make fitness more approachable by breaking down the narrow image of what it means to be fit. No more crash diets, Olympic-level workout plans or unattainable bodies. Instead, we’re championing real Philadelphians getting active in ways that work for them. Because no matter your age, shape, neighborhood or walk of life, fitness is for everybody (and we mean every body). Your fitness journey may not be easy, but we’re here to help you take your first step by pointing you toward free and low-cost activities happening in your neighborhood. Who says you need a gym membership to get fit? Help your community find free/low-cost fitness opportunities near them with our Fitness Events Calendar. Want to add your own free/low-cost fitness event(s)? Email us. Energize your next meeting or event by kicking things off with our campaign video. Why not make the most of your wait? Play our video in your office reception area. 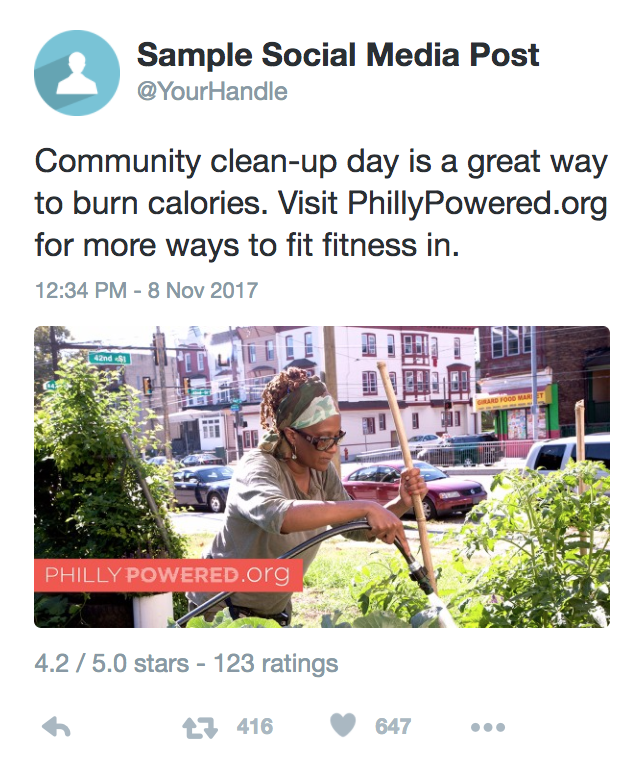 Follow us on Facebook, Twitter, and Instagram and be sure to link posts to PhillyPowered.org. A fitter you is just steps away…literally. We’re challenging employers across the city to promote regular physical activity in the workplace by highlighting their best fitness feature: the stairs! 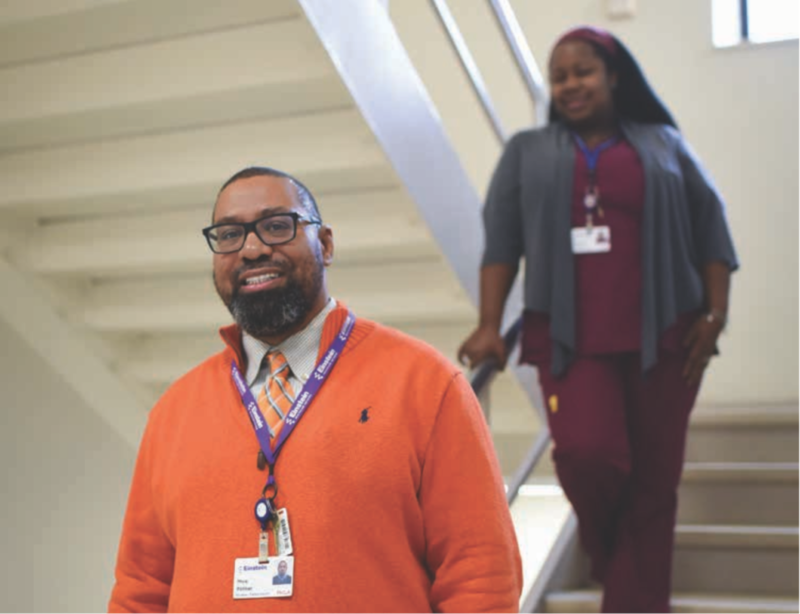 Stair climbing is easy, burns calories, strengthens bones, hearts and lungs, and can lead to a healthier, happier and more productive workforce. Why not try a 2-5 minute movement break during your next meeting? Standing, stretching and light exercise can increase focus. Need some inspiration? Try Philly’s very own movement break video. Help spread the word by adding our logo to your fitness handouts and materials.